Verde Fire is a stunning and unique stone quarried from an open-cut quarry in Australia. The quarry is near a copper quarry and as a result, copper and nickel remnants will be present in the stone. 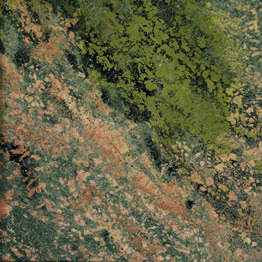 When I worked in a slab yard customers would always stop and stare at the Verde Fire slabs. They would always ask if it was natural stone, a lot of people had a hard time believing something looking like this could come from the earth. It looks like an abstract painting, because of this it is often hung on walls like a painting would be. 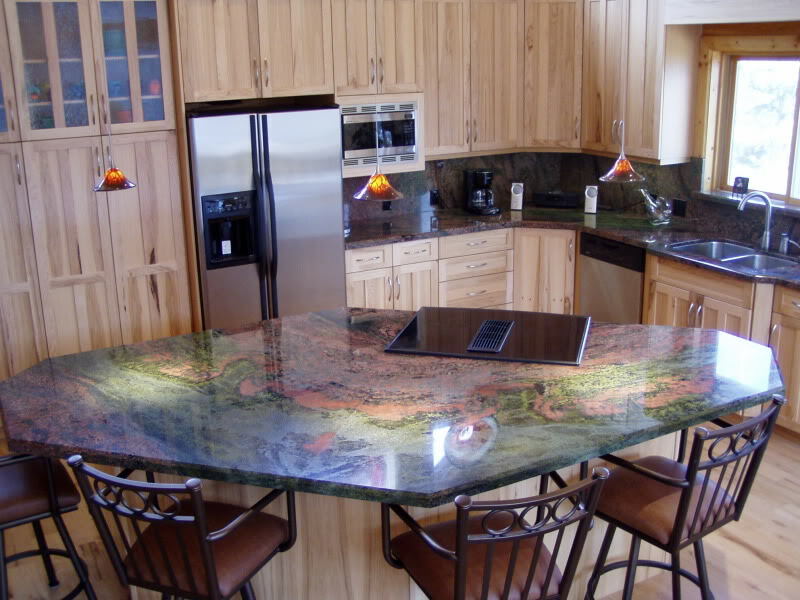 Verde Fire is an extremely hard granite that is composed primarily of quartz. Because of this a special wire saw is required to cut it. This wire saw uses synthetic diamonds imbedded into the wire every six to eight inches apart. This new technology, enables the factory to shorten the cutting time from twenty days using a conventional gang saw to three days with the wire saw. As you can tell from all of the photos in this post, this granite changes quite dramatically from bundle to bundle. It always has the same basic colors, but sometimes they are very red and other times they are quite green. Be sure to select your exact slabs when purchasing Verde Fire. Other names for Verde Fire include: Verde Fuoco, Green Fire and Green Fuoco. Verde Fire is available in 2 cm and 3 cm slabs as well as tile. 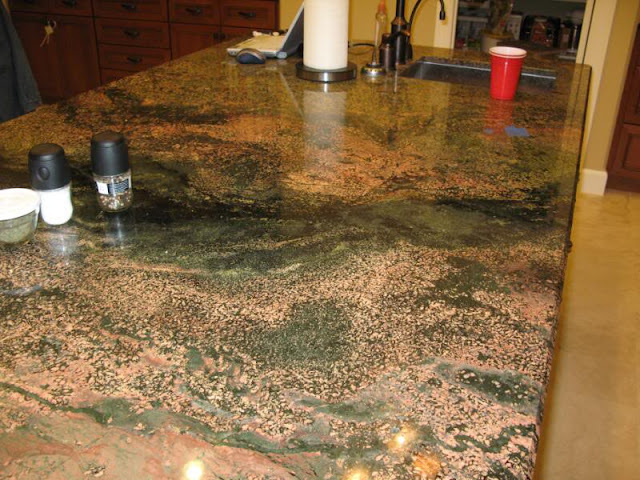 We purchased a home with Verde Fire countertops in the kitchen. We are having a built in hutch installed and cannot find Verde Fire in our area (dallas). Can you recommend something that will coordinate well with it?